SHE is an English teacher who is currently between jobs, but Avan Jesia has a lot to keep her busy right now. For starters, she is overwhelmed by the response to her book, Tower. A saga of love and loss spanning three generations of a Parsi family, this is her first book. Jesia notes how she never th ought she would write a novel. 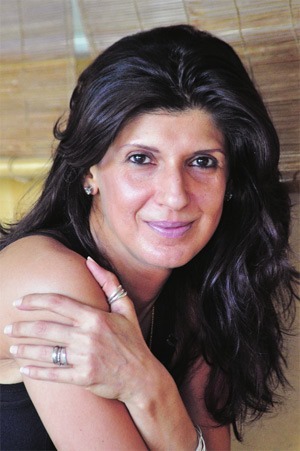 "I’ve always written bits and pieces through the years — mainly poetry," recollects former model Mehr Jesia Rampal’s sister. For the debut novel, it was a natural choice for her to set her story in a Parsi household. "You write what you know, they say," she says, adding, "Among others, Tower questions the utterly obnoxious death rituals of the Parsis. The way I see it, a death is hard enough to deal with, and Parsi customs only make it worse." Her family, of course, has been very supportive. "My mother reread drafts of the manuscript almost as often as I did, while my father started rereading the novel as soon as he had finished it. Mehr, in her impeccably minimalistic way, told me to change the name of the book from The Tower to Tower," she says.